Enjoying sharing from the heart with 1500 of my BFF's in Vegas at TBSE. The session "The Naked Lunch: bare essentials of healthy living" was a 60 minute pump up keynote style program designed to reinvigorate an audience. No stone is left unturned to get people thinking and feeling that taking their health and fitness to the next level is in the best interest of their career, their family and ultimately long term survival. It is one of my deepest desires to share with people the value of active living and regular exercise. One of the top reasons people visit their health care practitioner is because they "lack energy." You must be familiar with the fact that children are able to move tirelessly and effortless compared to older individuals. One of the main reasons is that the average 60 year old has only half their mitochondria (the energy factories in each of our 100 trillion cells) working well. Research at a number of top universities has shown that exercise (in particular resistance training) has the ability to turn on the genes of mitochondria long shut down due to inactivity. This is one of the reasons exercisers have more energy than their sedentary counter-parts. Body language and personal energy make up 90% of communication. My motto " Flexible body - Flexible mind - Flexible life!" Stiff tired bodies do not move well as energetic flexible bodies. If you are able to move effortlessly, you are better able to breathe deeper, express yourself and get a clear message to your client or customer. I would love to share with your people the complete story behind persuasion and expressing yourself with ease. The Mouth Body Connection is real. The majority of people think of brushing and flossing as activities to keep their mouth in tip top shape. A large number of excellent articles in prestigious dental and medial journals have pointed to optimal oral hygiene being related to excellent physical condition. Lancet Medical Journal June 2008 article with 48,000 subjects reported that gum disease has been associated with four serious cancers: Kidney, haematological, kidney and pancreatic. October 2012 Oral Health journal article showed that people with a BMI over 25 (overweight) are more likely to have bleeding gums and oral infections. This is due to the inflammatory chemicals being released 24 hours a day into their bodies from their visceral and subcutaneous fat deposits. The relationship is bidirectional. Healthy mouth in a healthy body. Sad news? Average adult brushes for 45 seconds vs the recommended two minutes. Using a power tooth brush like Philips Sonicare Diamond Clean has a two minute timer along with all the latest scientific advantages of sonic technology. _Uche Odiatu is on the advisory board of Super Chefs of the Universe. A company dedicated to supporting healthy eating habits of the youth of the planet. With colleagues Dr Zolton Rona MD and Dr Meghan Walker ND at HAPA (Holistic Approach Professional Association event in Toronto). My wonderful mother always told me "Birds of a feather flock together." The relentless pursuit of knowledge takes an investment of time and effort. Between writing articles and co-authoring two books, I have learnt many lessons. Enjoying my own personal wellness journey and my large family I have come face to face with all the reasons why busy people don't often make time for exercise or healthy eating. If the best time to have started active living was twenty years ago, when is the next best time? You're exactly right, it's today! 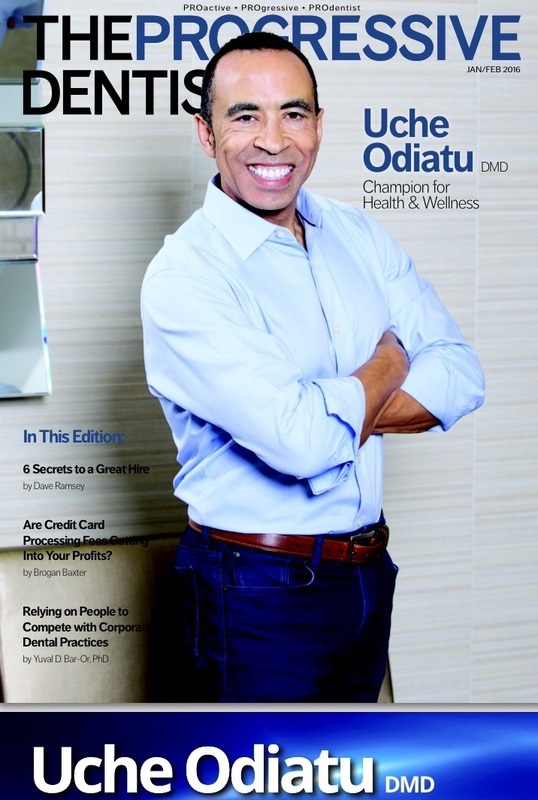 Dr Uche Odiatu enjoys inspiring people to take their health to the next level whether it be in the gym, the kitchen or even at the sink brushing their teeth first thing in the morning or last thing in the evening. 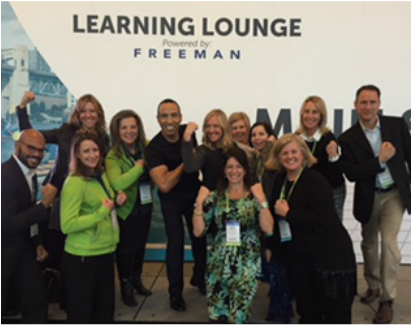 Attendees enjoying a break during "Wellness: the Value Added Practice"
Teams that learn together grow together. There is a synergy behind people getting healthy together. Did you know there's a body of research that has shown that people are 36% more likely to maintain their exercise habit if they workout with a partner? Surround yourself with people who want to take their health and fitness to the next level and watch your personal energy soar. People who fly regularly as part of their work are often tired and run down. A big reason is chronic dehydration, poor nutrition and lack of exercise while on the road. 85% of CEO's of the Fortune 500 Companies exercise regularly versus the rest of the population of which only 15% exercise regularly. Eating a power breakfast, carrying a full stainless steel water container and building activity into the day can get anyone breaking through to the next plateau of their career. NEW Do Your Patients have the GUTS to LIVE LIFE WELL?